Juniper Swim & Fitness Center offers a progressive skills based program to help you succeed in becoming a better swimmer. 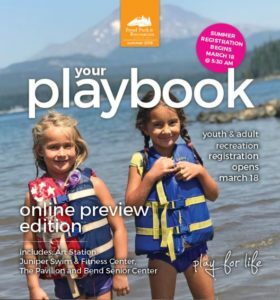 Whether you are just starting out to learn to swim or a life long swimmer, we have a program for you. Our swim lessons are age appropriate, skill appropriate, safe, small, professional and FUN! Learn and improve swimming skills. Develop trust and confidence in others. Learn to be safe in and around the water. Improve social skills and opportunities. Enhance self-esteem through positive encouragement and personal success. Develop positive life long recreational opportunities. We are always looking for feedback, feel free to fill out the swim lesson survey. Looking for more times? Call (541) 706-6183 to schedule an appointment for another time. Hands-on work, skill-oriented games and songs emphasize water adjustment and enjoyment. More skill-building fun and games with an increased emphasis placed on basic swim skills and independence. Is your child too young for our journey program but swimming safely in the pool on their own? Class incorporates learning basic skills of floating, gliding and water safety. First class without parent participation. Pre-requisite: Taken one session of Parent Tot classes. Check current swim classes & programs for Journey. Journey 1: Water adjustment, underwater exploration, floating on front by myself for 3-5 seconds, flutter kicking on tummy and back. Pre-requisite: ability to participate in a class environment. Journey 2: Front and back floats 5 seconds, front and back glides for 5 seconds and front and back kicks for 5 seconds. Pre-requisite: float on front with face in the water for 3-5 seconds by myself. Journey 3: Front streamline kick for 10 seconds, roll over from front to back, kick on back hands by side for 10 seconds. Pre-requisite: Front and back floats 5 seconds , front and back glides for 5 seconds and front and back kicks for 5 seconds. Journey 4: Arrow kick on front with straight legs for 20 feet, crawl stroke for 20 feet and kick on back with hands by side for 20 feet. Pre-requisite: Arrow kick on front for 10 seconds, back kick hands by side for 10 seconds and student comfortable swimming all skills in the big pool. Journey 5: Front crawl with side breathing for 20 feet, back crawl stroke for 20 feet. Pre-requisite: front crawl for 20 feet, kick on back for 20 feet. Check current swim classes & programs for Level. 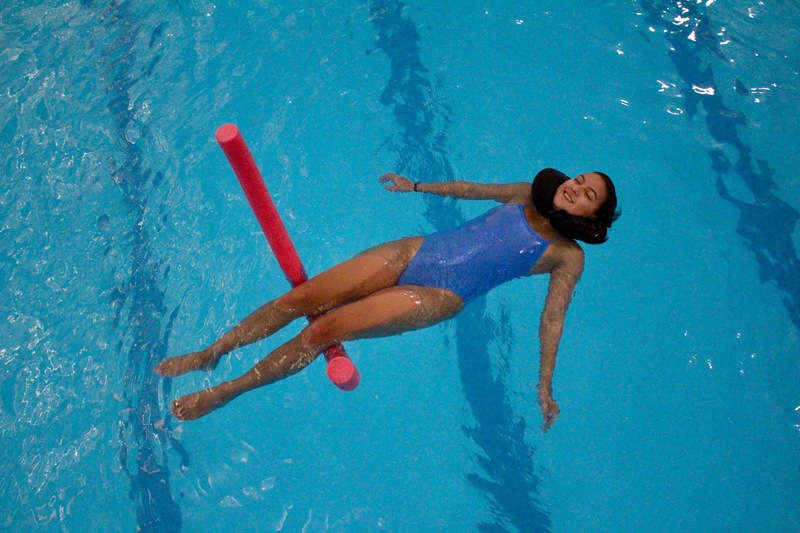 Level 1: Water adjustment, front and back floats for 5 seconds, front and back glides for 5 seconds, arrow kick for 5 seconds and back kick for 5 seconds. Pre-requisite: 6 years and older. Child must be comfortable in water depth for 3.5 feet. Level 2: Streamline kicking on front for 10 seconds, kick on back hands by side for 10 seconds, front crawl stroke for 10 seconds. Pre-requisite: front and back floats for 5 seconds, front and back glides for 5 seconds, arrow kick for 5 seconds and back kick for 5 seconds. Level 3: Arrow kick on front for 45 feet, crawl stroke with side breathing for 45 feet, back stroke for 45 feet. Pre-requisite: Streamline kicking on front for 10 seconds, kick on back hands by side for 10 seconds, front crawl stroke for 10 seconds. Level 4:Crawl stroke with rhythmic side breathing, back crawl stroke for 25 meters with increased emphasis on proper technique. Elementary backstroke introduced. Pre-requisite: Comfortably swim crawl stroke with side breathing and back stroke 45 feet. Level 5: Front crawl stroke with side breathing for 50 meters, back crawl stroke for 50 meters, breast stroke for 25 meters. Pre-requisite: front streamline kick for 25 meters, crawl stroke with side breathing for 25 meters, back crawl stroke for 25 meters, elementary back stroke for 25 meters. Level 6: Front crawl stroke with alternate breathing for 75 meters, back stroke for 75 meters, breast stroke for 50 meters and butterfly for 25 meters. Pre-requisite: Front crawl stroke with side breathing for 50 meters, back crawl stroke for 50 meters, breast stroke for 25 meters. Have your kids graduated from Level 3 or higher and are looking for something new? Check out the Youth Novice Swim Team. It’s a perfect introduction to competitive swimming skills and training for kids! Be challenged while having fun! Participants must be able to swim 25 meters front crawl stroke using side breathing and 25 meters backstroke with level body position. We teach the rest! Newcomers and veterans welcome. Groups will be divided by age and ability levels. An introduction to competitive swimming and training designed to challenge and refine swimming skills. Participants must be able to swim 25 meters front crawl stroke using side breathing and 25 meters backstroke with level body position. We’ll teach the rest! Groups divided by age and ability levels. 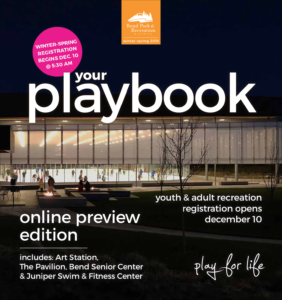 Have fun learning basic water polo skills and playing games. Participants must be able to swim 100 meters (12 lengths) continuously. Learn how to use the diving board correctly for safety and fun! The fundamentals of diving will be introduced including the approach, hurdle, take-off, front jumps and dives and more advanced tricks. Pre-requisite: Ability to comfortably swim two widths of the pool in the deep-end. Learn to use a mask, fins and snorkel to discover what you can see and do under water. All equipment is provided. Prerequisite: Level 3 or able to comfortably swim two widths in the deep end. This class is for teens looking to refine their stroke technique, improve endurance and develop lifelong skills. Coaches will teach swimmers how to create workout plans, improve swimming skills and share the long-term health benefits of swimming. Juniper offers seasonal PADI Scuba classes, including introduction Bubblemaker classes and regular classes. These introductory classes let you try scuba to see if you like it before you decide to commit to a PADI Open Water Certification program. Learn what wearing scuba equipment feels like and how easy it is to move around underwater while wearing it. Find out what it’s like to breathe underwater Learn basic skills and safety rules to carry over to your scuba certification course should you take the next step. All equipment provided. 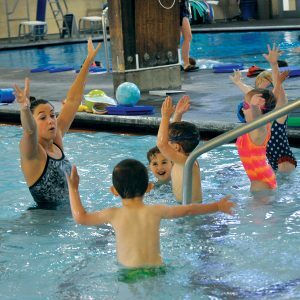 This class is designed for adult swimmers with little to no experience in the water. We will help you conquer your fear of swimming by introducing basic swim skills and water safety. The majority of this class takes place in shallow water. Learn skills in a comfortable environment designed for new swimmers to learn basic front crawl and back strokes. Appropriate for adults unable to swim 15 meters. Class works on building confidence, stroke technique and achieving the ability to swim full laps. Focus is on fitness through skill training and short distance repeats while individualized to meet your goals. Appropriate for adults who can swim 15 meters but not much more. Fee: Use your Drop-In, Basic or Full-Access Fitness Pass. No registration required. Join the masters for coached practices at any time. Improve your skills and enjoy training with others. Masters emphasizes fitness, fellowship and fun for all ages and abilities. Coaches are nationally certified and highly qualified. You should be able to swim basic strokes for 500 meters (20 lengths). Competing is not required, although many chose to compete in meets and open water events. It is a great way to stay motivated! See the Lap Swim calendar for schedules and details. Fee: Use your Drop-In or Full-Access Fitness Pass. No registration required. Masters Water Polo is a drop-in recreation program. Participants are encouraged to be able to swim a 500 m comfortably and know how to tread water. There is time at the beginning of each practice to teach new participants about the rules. If a participant is younger than 18 years old and would like to participate we welcome 15 and older with previous water polo experience. Do you know how to swim but want to develop your technique and endurance? Learn how to improve your stroke, efficiency in the water and challenge yourself with progressively longer fitness swims. This class is appropriate for adults who can swim 100-meters continuously. Come practice rolling your kayak in safety of the warm, water indoor pool. Please tape the end of your boat paddles. Program fee includes one person and one boat, additional people pay basic entrance fees. Space is limited to 12 boats, pre-registration is required.